Erin Cresta is the vice president of global digital marketing and operations at Hortonworks. Her experience encompasses over 20 years in technology, including business intelligence, big data, security, network, and IT management software. Erin leads a team of digital marketing operations and business development reps at Hortonworks. In this role, she and her team are responsible for driving go-to-market strategy, demand, and pipeline generation for the company. Over the past year and a half, Erin has been driving transformation of digital marketing. 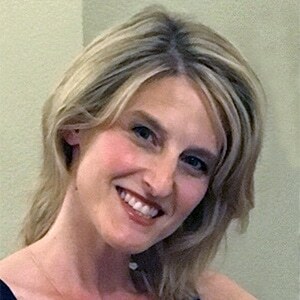 Under her leadership, the team delivered a new global campaigns model, global webinar program, and top of funnel campaign content; strengthened the revenue tech stack; launched new lead, account scoring, ABM and nurture programs; improved partnership with finance, connecting budgeting and marketing systems to deliver automated ROI; and significantly grew the business development organization and pipeline sourced through BDRs. Prior to joining Hortonworks in 2016, Erin held roles at Infoblox, HP Software, and Mercury Interactive where she led various marketing functions including demand generation, field marketing, channel marketing, and digital campaigns. She spoke at Topo Summit and Sirius Decisions Summit in 2017, and her team won ON24’s 2018 Marketing Game-Changer Award in March.